Known for its sunny disposition, beautiful cities, striking beaches, million dollar mansions and movie stars, it may be surprising to know that California also has a dark and eerie side. For paranormal enthusiasts, that’s not only good news, it’s reason enough to embark on an exploratory adventure. 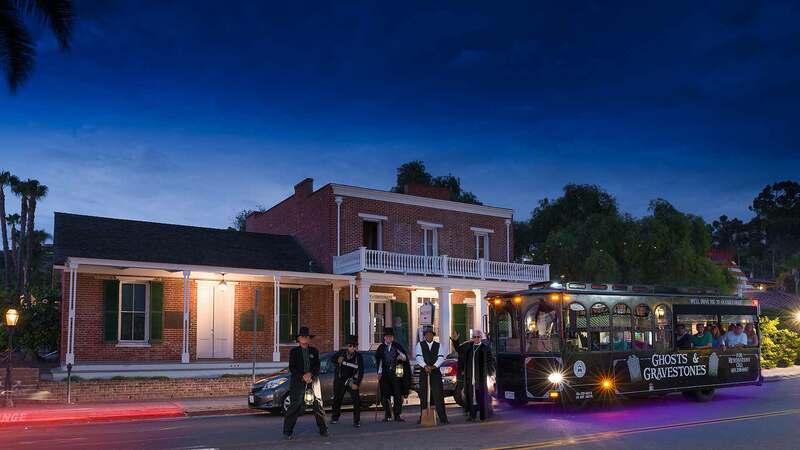 It may look like an ordinary, old-fashioned brick house, but the Whaley House is anything but. In its history, it served as the town courthouse, a general store, a theater, a morgue and a granary. It was also home to Thomas Whaley and his family, many of whom are said to be haunting the old mansion since their demise. Whether it was the gruesome suicide of the Whaley daughter, Violet, or the many hangings that occurred on the property’s grounds before the family bought it, visitors allege to hearing heavy footsteps moving about the house when no one was in sight. Other strange events include sightings of Thomas Whaley standing at the top of the stairs and a floating apparition in the downstairs rooms among other events. The famous maximum security prison located in the San Francisco Bay, Alcatraz Federal Penitentiary earned a reputation as one of the most brutal and inhumane prisons in the country during its heyday. Today, visitors flock to this tourist attraction which many experts believe to be haunted. During its days of operation, prisoners were said to be tortured and paranormal investigators believe that many of the haunts are their spirits seeking revenge. Inexplicable events like the sound of someone playing the banjo spooked prison guards and visitors alike. Many believe this to be the spirit of Al Capone who spent his last days at the prison playing the banjo in the shower room to avoid being killed in the yard. The smell of smoke, the sounds of cell doors slamming, disembodied voices moaning and screams have all been reported. This iconic lighthouse in Crescent City, California was built in 1856 and although it survived the tsunami of 1964 that devastated this northern California city, there’s been numerous reports of strange and eerie occurrences. So much so that Battery Point has been deemed the 7th most haunted lighthouse in the United States. Lighthouse workers and guests say that they have heard what sounded like someone wearing large boots stomping around. There have also been reports of items moving, cold spots and the feeling that someone was touching them when no one was there. Permanently docked in Long Beach, the Queen Mary was once a luxury ocean liner and a WWII Ferry Ship. She sailed from 1936 to 1967 and today those who visit can enjoy the ship’s museum, a hotel and any of several restaurants. But for those who have a desire to discover the secrets of the supernatural, this unique California attraction delivers in a big way. Here, it’s not unusual to hear the sounds of ghostly children; and if you wander into cabin B340, you may just have an encounter with the spirit of the murder victim who has not moved onto the next world. Also, be on the lookout for the lady in white who makes numerous appearances when folks least expect it and the lingering spirit of a sailor who was killed in the engine room during a horrible accident. 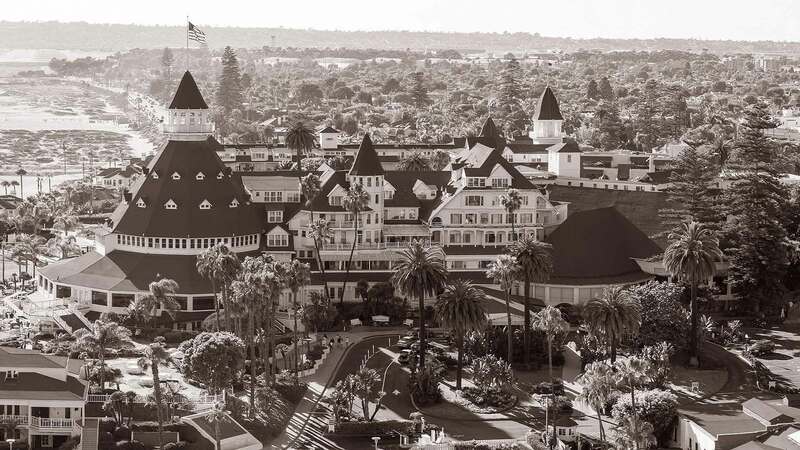 A legendary hotel that’s been hosting guests since 1888, the Hotel del Coronado is one of those historic places that has centuries of stories to tell. 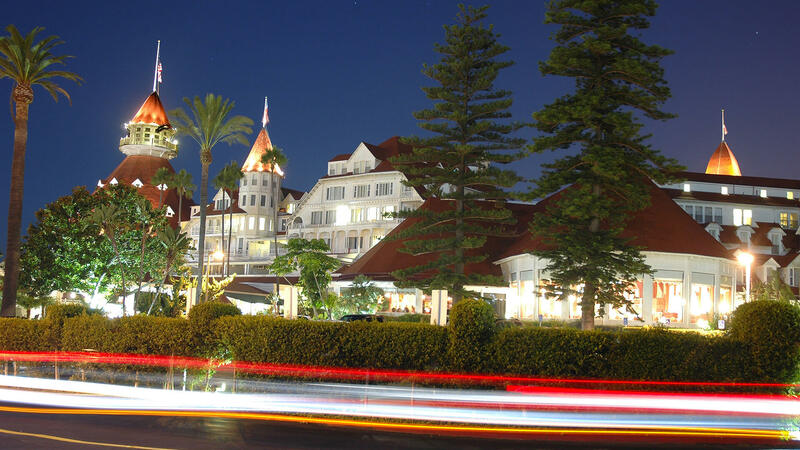 But the one that’s most interesting to ghost hunters is the story of a young bride named Kate Morgan who checked into the hotel in 1892 and never checked out. Well, not officially. She was found dead on the hotel steps days after and that’s where the real trouble began. Today, those who check into Kate’s room, which is now room 3312, have had spooky experiences to say the least. Curtains blowing even though the windows are closed, objects moved by unseen hands, murmuring sounds and even sightings of Kate walking down the hallways and peering out the windows have all been reported.